A while ago a digital version of everyones beloved mixtapes was released as Muxtape.com. Muxtape.com is a side project developed by Justin Ouellette who works for Vimeo. 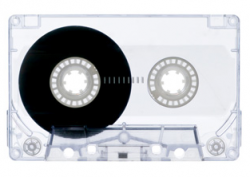 Muxtape and is based on the concept of old school mixtapes. I enjoy the idea so much, its great to listen to to find new music or if you don’t have a playlist of yours on hand. From a design standpoint the user interface is fantastic and its just a clean simple effective design. Onto my next point, YOU MAKE YOUR OWN MIXTAPES and store them online giving everyone access to listen to your favorite songs. Check out my MuxTape at jshaw3.muxtape.com . It will be changing quite frequently most likely. I recently saw that Vimeo now supports streaming HD. I believe it was Stage6 that I heard supported streaming HD but Vimeo has executed it well. A great feature is the ability to turn on and off the HD quality to allow quicker buffering times. Anyways, what better way to preview it than watch a video of one of the illustrations on their site be developed. Prints of the finished illustration can be bought here. Science Machine from Chad Pugh on Vimeo.Also there’s a video The Wind From Death Valley which may display a little better the amusingness of HD.